We visited quite a few places in Tokyo. 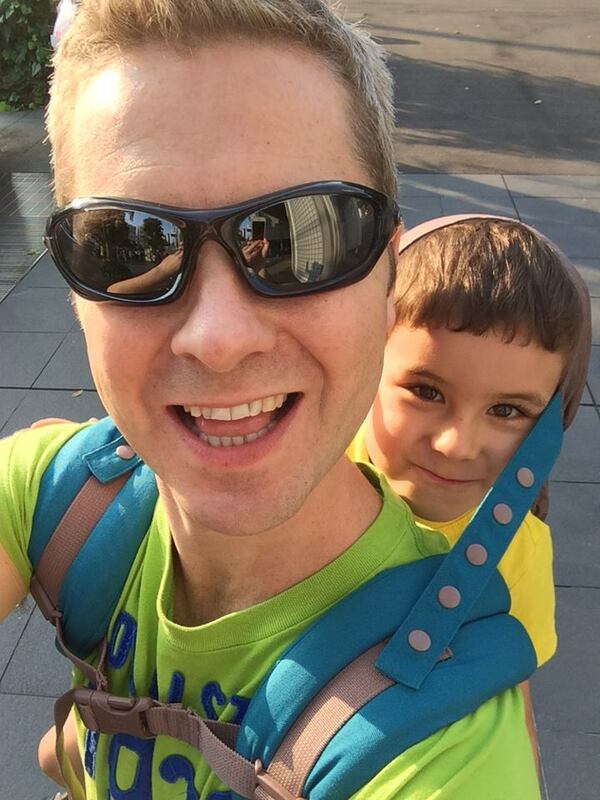 All made easier with the newly purchased Ergobaby ( carrier) from a department store in Shibuya. With Dylan on Mark’s back when tired we visited Asakusa to see the famous Sensiji temple and gardens then met with NCT friends from London so Dylan and Emilia could play cool down in the fountain next to the Imperial palace. Ady, Mark’s pal from Hull was jetllaged so took a power nap on park bench shaped like a tube. We also visited Tepia – Technology Utopia – to see the world’s latest innovations; advanced robots, mirrors which measure your heart rate, and even a face recognition system which tells you the percentage of a person’s smile (tried my best to reach 100% or 0% smile but failed). We walked around Harajuku (crazy fashion) and Shinjuku by night with dazzling lights and quirky, cool, occasionally seedy bars. We finished off with a visit to the Tokyo Skytree. 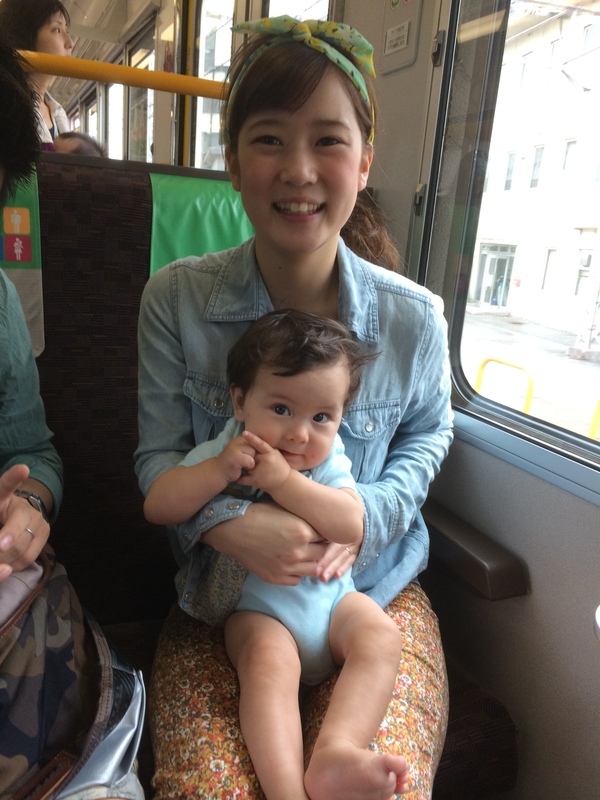 Perhaps what impressed us most was the Japanese rail system, though sure the feeling wasn’t mutual… On the famous Yamamoto line our broken stroller didn’t mind the gap, got stuck for a nanosecond and the doors shut on it. Sirens. Frantic workers ran to assist. I am sure we have affected KPIs somewhere and those seconds disrupted the entire train schedule for the day. Later on, about to take a very long electric escalator to the exit, when Dylan spotted a little red button at his eye level on the side of the stairs. – a packed escalator suddenly stopped. Those sirens again. 50 or so Japanese commuters staring at us before trudging up the stairs that were now refusing to move again. Dylan smirks, laughs and jumps around a bit. We all run off, passing guards sprinting the other way. 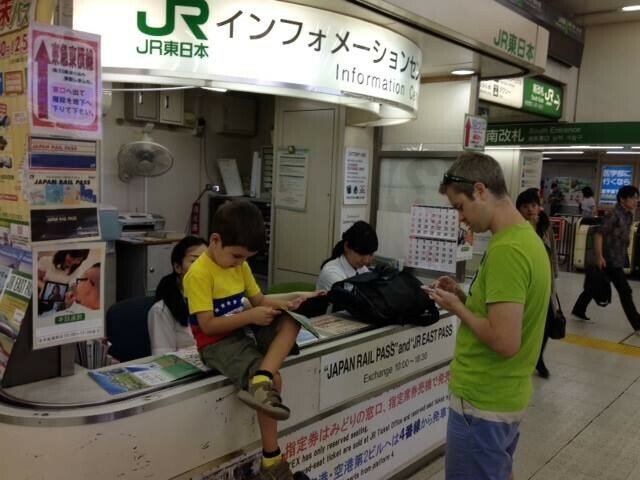 Best to leave Tokyo before they put pictures up of our kids as root causes of impacted performance. On to Kyoto.